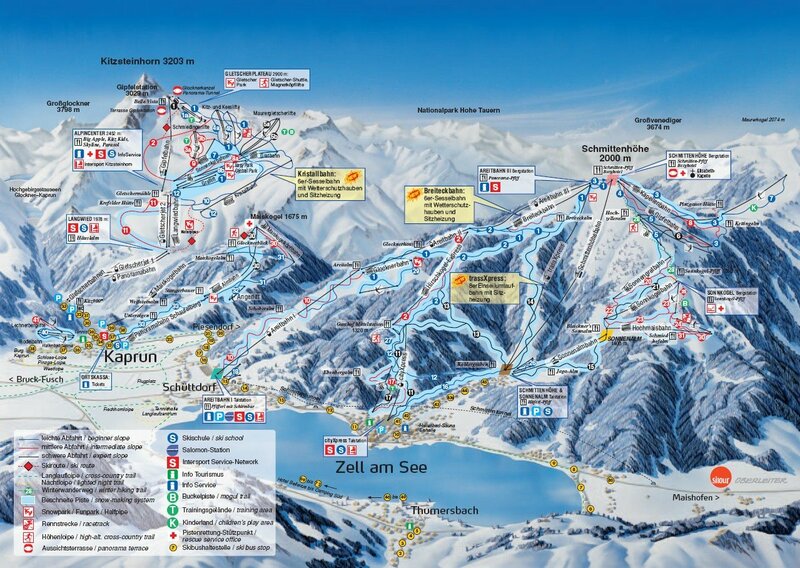 Austria holidays, Salzburg, Kaprun, Zell am See and so much more: Winter Skiing Kaprun- Zell am See the Europa Ski area. The lake side market town of Zell am See and the alpine village of Kaprun have teamed up together for the past 40 years and were aptly collectively known as the "Europa Sport Region". 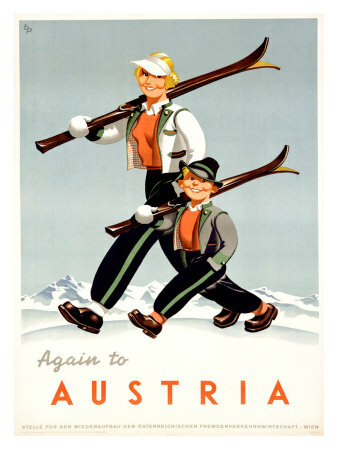 They have now recently changed the focus on the joint marketing of the names of Zell am See and Kaprun. Between the the lively medieval lakeside resort town of Zell am See and the spectacular Kitzsteinhorn glacier, lies Kaprun. Which is a traditional Austrian village with a pretty church and interesting castle. It is convenient for nursery slopes, pistes for all levels and fast links to near all year round snow sure slopes on the glacier so good for November to June ski holidays and beyond. For some night life check out the Austrian scene oompah bars always turn out to be very special nights! 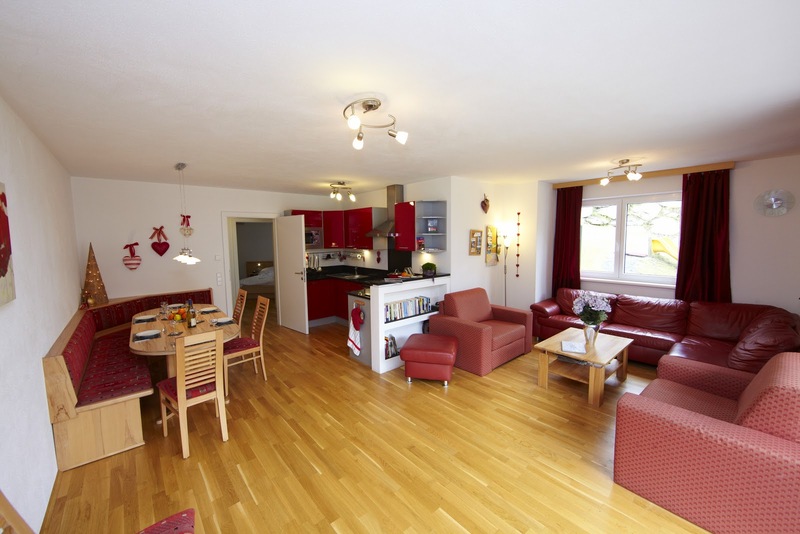 i) Maiskogel, where it is possible to ski down into the center of Kaprun and it is only a 10-12 minute walk away from Austria holiday apartment where up to 9 persons can sleep in comfort. 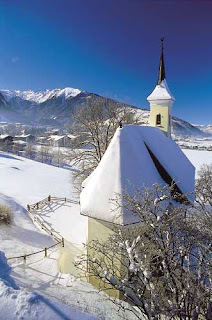 ii) The second area is above Zell am See down from the 2000 meter high Schmittenhoe, topped by a chapel and restaurant. This area has fantastic views down onto the frozen lake of Zell am See, where in the right conditions people will be found walking and skating. There is consideration to the possibility to linking up this ski area to meet up with the adjacent ski resorts of Sallbach and Hinterglemm. It is also possible to upgrade your Zell am See / Ski pass for a few Euros include this additional area on top of the 3 ski areas in Zell am See and Kaprun. There is speculation of new ski lifts and slopes down into Piesendorf extending the ski area even further. iii) The third area is above Kaprun on the Kitzsteinhorn which rises to 3203 metres in height. Below the summit there is the Kitzsteinhorn glacier, which is open all year round and normally subject to weather it sometimes only closes for 2-3 weeks in the summer for maintenance to the ski lifts. So it is possible to ski throughout most of the year, creating the possibility of a longer ski season for visitors and locals alike. This mountain area also has the benefit of a snow park for the ski boarders. For the recent season a new lift had been installed the "Kristallbahn" which had the benefit of heated seats! which made the ride up, nearly as much fun as the ski down! With upgrades and improvements being made year on year to the facilities provided. The valley bottom between Kaprun and Zell am See is the location of a cross country ski course for an alternative form of skiing the Nordic type. New from November 2010 is the fantastic Tauern Spa Kaprun, it is located just to the north of Kaprun, on the road out of the village to Zell am See. 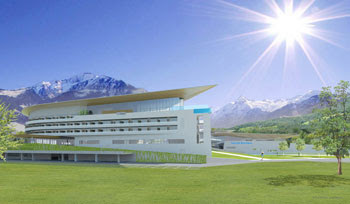 Our sister blog at Austria-Spa-World provides further information on this 85 million Euro project, which will enhance any holiday by a visit and the use of its extensive facilities. There is a fantastic spa area, split into a "textile" and none textile (nudist) areas to suit. As mentioned there are further additional ski areas in the immediate area the joint resort of Saalbach Hinterglemm and Kitzbuhel. Around 30 minutes away is the Gastein valley, where there is further additional extensive skiing, and it also the benefit of 2 (yes two) world class spa complexes at Bad Gastein and at Bad Hofgastein. Both are thermally thermally heated ( natural) and are definitely worth a visit what ever the time of the year. Pisendorf and Niedernsill are just a few miles away from Zell am See and Kaprun, and are compact resorts, they tend to be a little quieter and cheaper, than their busier neighbours. A ski map of the area can be found via this link, can be used as a great base to commute to the larger ski areas. It is a good base, along with Kaprun for cross Country skiing with extensive routes along the valley bottom in all directions. The holiday region Zell am See-Kaprun attracts 2 million overnight stays every year is one of the most popular holiday destinations in Austria. During the summer months you can enjoy a variety of outdoor activities like rafting, golf and hiking. And also in the cold season there is never a dull moment thanks to the possibilities of sleigh rides and hiking tours in snowshoes. Skiers can comfortably reach the 132 kilometres of slopes with powder snow on one of the 56 lifts. Snowboarders also enjoy the perfect high altitude conditions of the Snow-parks on the 2,600 metre high glacier plateau. 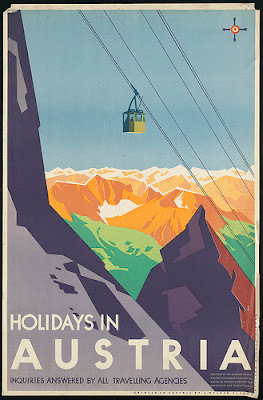 Even in the summer you can swish down the slopes there. Ski passes can be brought at a variety of locations in Kaprun and Zell am See, with the Kitzsteinhorn glacier comes a snow guarantee as well!! 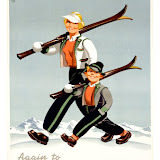 with an extended ski season into June and October starts for a new ski season possibilities. Many holiday resort destinations have internet cameras, for example via the attached Zell am See / Kaprun link the site lead to cameras covering the areas of Maisikogel, the Kitzsteinhorn ( more than one camera to cover different areas of the glacier), the Schmitten, with further cameras looking over the lake at Zell am See. It is a useful resource to see perhaps the weather conditions, visibility, numbers skiing, or if there are and swimmers or skaters in or on the lake. The renowned German publishing house of 'Falk Verlag' awarded Zell am See and Kaprun the high accolade of the voting the area the most family-friendly holiday region in Europe! Beautiful photos and great informations. Makes me want to make the trip there.